One of the first baking books I ever got for myself was,Thankam Philip's Book of Baking.It is a small 100 page book,published sometime in 1994,full of simple recipes for cakes,cookies and cupcakes.Most of the recipes call for basic items in your pantry and gets done quick,without any complicated steps.Even without a single picture in it,it remains one of my favorite books ever! I was very excited when a dear friend gave me two photocopied books,which were published in 1979!Australian Family Circle-Favourite Cake recipes and Cakes and Cake decorating by Rosemary Wadey.After trying a few recipes from the books,I should say the books are a real treasure.Do you have such favourite books too..I'd love to know! I'm a little apprehensive when the recipe calls for dividing the eggs first and folding the whites slowly etc.Somehow,I always feel I might mess up and spoil the final product.But let me tell you,it is that method which gives this cake a light and airy texture with a great crumb as well.Adding Caraway seeds was something new to me,I've never tasted any cakes with caraway seeds.A bite of the cake,however reminded me of those light sponge cakes we used to relish during childhood,the ones bought off the shelf from our nearby bakery. I have to warn you though about the batter.Follow the steps carefully and do not panic if you feel the batter looks firm,almost like a cookie dough.It will lighten up once you fold in the egg whites and rise up beautifully once it bakes.I poured some ganache glaze on top because we love the orange-chocolate pairing and it goes so well together.You can skip the glaze or add a simple icing sugar+orange juice glaze. 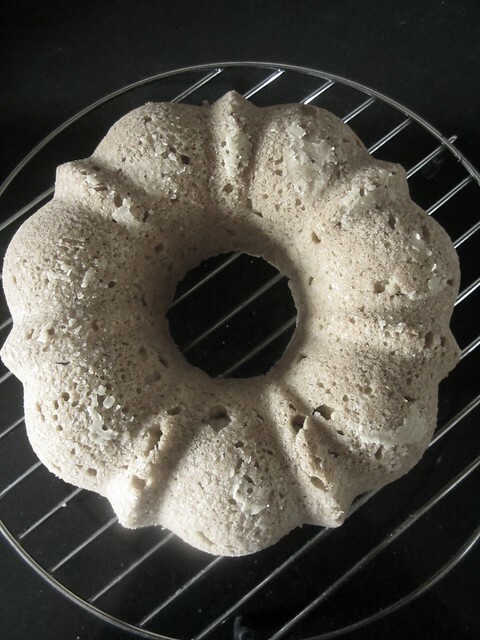 Pre-heat oven to 175 degree C. Butter and flour an 8 inch bundt pan if you have one, else line an 8 inch round or square cake tin with butter paper and butter it. 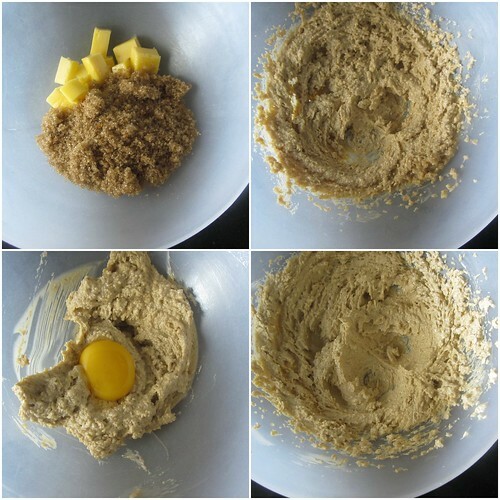 Mix together both the sugars and rub in orange zest into it till the sugar becomes moist and fragrant. Beat together butter and the sugars till creamy. Add the egg yolks one at a time and beat well after each addition. Sift flour and baking powder. Add caraway seeds and mix well. 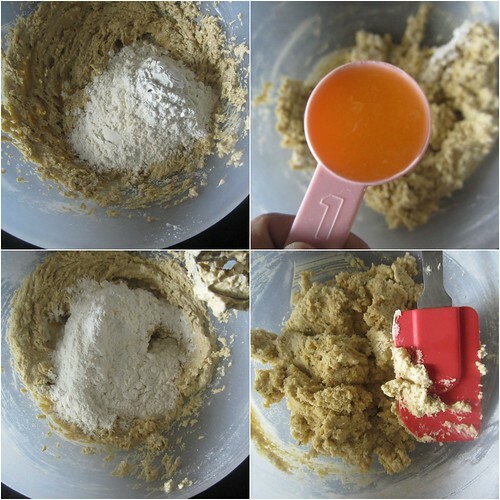 Add half of the flour mixture into the creamy batter and beat just until combined. Do not over beat. Now add the orange juice and beat just until incorporated. Add the last batch of flour mixture and beat again just until incorporated. 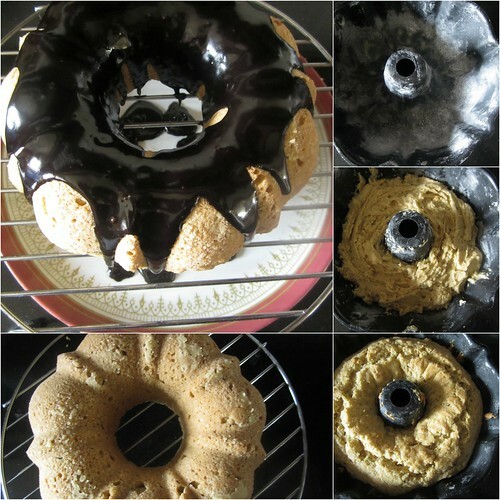 Do not overbeat because it will lead to tougher texture of the cake. Beat the egg whites till frothy and until you get soft peaks. Fold the egg whites carefully into the batter. 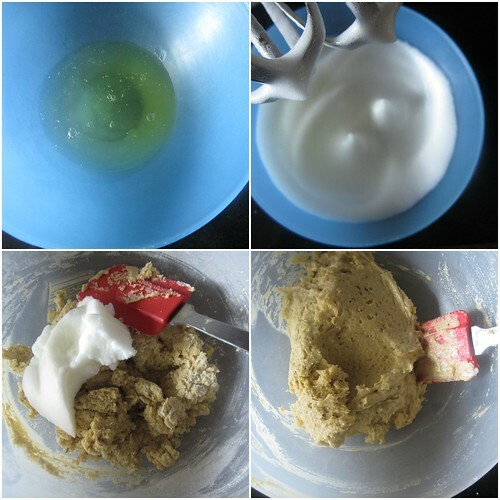 It might look tough in the beginning but the whites neatly blend in the batter. It will lighten up. Do not over fold here again. Fold just until the whites are incorporated. Transfer the batter into the prepared tin and smoothen the top. Bake in the pre-heated oven for about 25 to 30 minutes or until the top is well risen, golden and a tooth pick inserted into the center comes out clean. Cool on a wire rack. 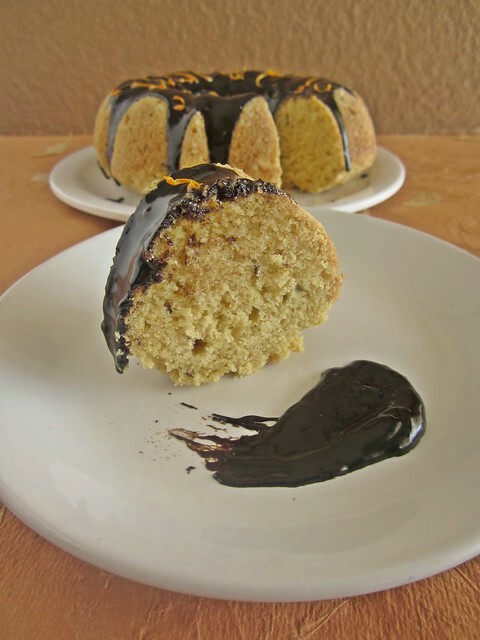 Mix together the glaze ingredients, place cake on serving plate /board and pour on top of the cake . 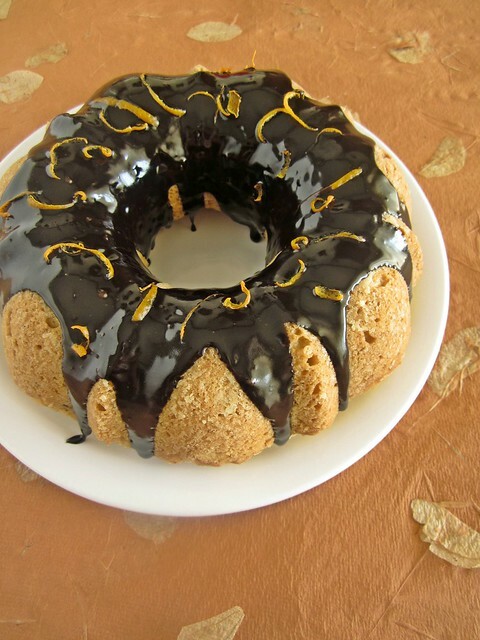 Excellent and delicious looking bundt cake. Wish I was there to get just a little piece. 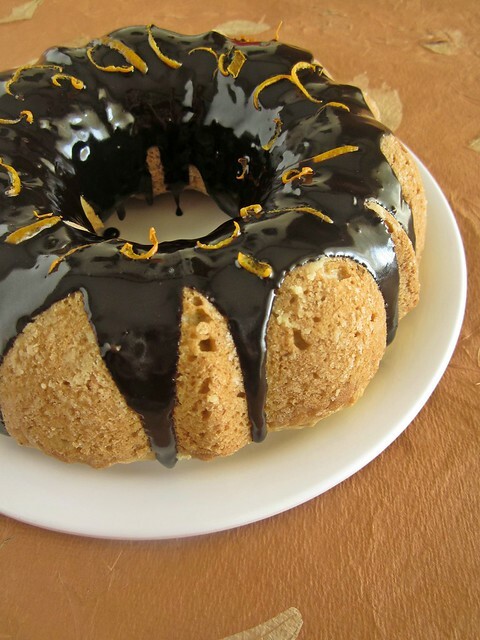 This sounds so good, love the really shiny icing too.